Nothing shows that you love your car more than having a clean engine compartment. Our engine cleaner kit makes this task a lot easier. Cleaning your engine with Super Dyno a concentrated, heavy duty multi-purpose engine cleaner will be a breeze. Use this engine cleaner in conjunction with our automotive parts cleaning brush to loosen the grime build up around small areas. 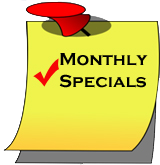 The next time you are thinking about detailing your car, remember the most important step is cleaning your engine. Also included in this kit, Engine Dressing which is a clear dressing, formulated for the engine compartment. This motor glaze is designed to cover the entire engine and give it the "new engine" look. Now, you can give your engine compartment a quick shine and whole new look. Achieve professional results with Engine Dressing. 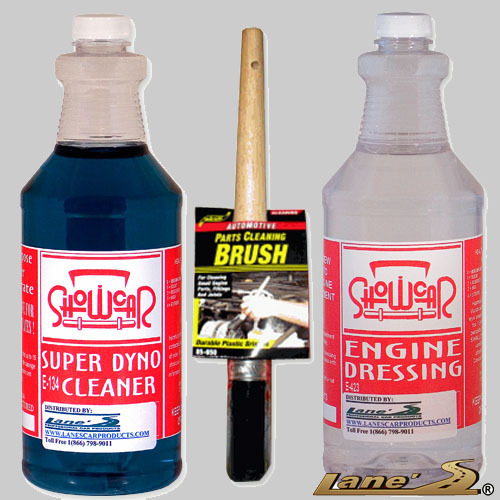 Click here for more products like our Engine Cleaner Kit!